One of the early settlers of Littleborough was Stephen Foster, a native of Winthrop. He came from that town with his family in 1786. He was the youngest of eleven children, sons and daughters of Capt. Timothy Foster, who was born in Attle-borough, Mass., May 14, 1720. The wife of Capt. Timothy was Sibler Freeman, born Oct. 29, 1723. They removed from Attle-borough to what is now Winthrop, Me., in 1765. The spot selected for his home was on the westerly shore of Cobbossecontee Lake and about two miles from its northerly end, an extensive meadow, and brook running through it, close by. His dwelling was at the southerly end of a lateral moraine, about ten rods from the Lake shore and well protected from prevailing winds. Here, in the wilderness, with fish and game all around him. Stephen Foster, best known as "Old Hunter Foster," was born, Feb. 28, 1766.--the clerk quaintly adding to the records these words: "The first Christian Child born in this Plantation." At the date of his birth, this was the only family in the vicinity. They were on the extreme verge of civilization. West to Lake Champlain, north to Canada line, there was no echo from the settler's axe, or smoke from his fires seen curling through the foliage. Born and reared under these circumstances, it is no wonder that he loved the woods and the excitement of the hunt and chase. His boyhood days thus spent, so hardened and toughened his muscles and matured his instincts, that he was accepted in his father's company of militia at the age of fourteen, and took part as soldier therein in the disastrous campaign against Bagaduce in 1779. In 1785 Capt. Timothy Foster died from the effect of a blow on his head from a falling tree. Winthrop was now getting so dense in population, its game either captured or driven back--that less hunted fields were to be sought, if "Old Hunter" was to succeed in his chosen calling. In his rovings through and about the country he could not have failed to see that in and around the waters of "The Great Androscoggin Lake" and particularly of Dead River, the game would thrive in abundance, and so, with a hunter's instinct, he selected this place for his future home. In previous years, when on these hunting expeditions, his camp was a hollow, giant maple tree standing on the Stinchfield cape on the northerly side of Dead River between its bends, nearly opposite the "Carrying Place." Stones and a few bricks which constituted his fire-place remain there to this day, and the spot is called "Old Foster's Camp." The log house to which he moved his wife and two sons, Stephen and John, was located on the southerly side of Foster Brook, a few rods easterly of where the railroad crosses it, at the extreme southeastern border of Androscoggin Lake. The farm he redeemed from the wilderness has since remained the property of his descendants, and is now occupied by a great-granddaughter, Mrs. Orrie A. (Foster) Davis. Farming, however, with him was incidental. Hunting and trapping in their seasons were his chief pursuits in which he was an expert and became widely known. His wife was Sally Streeter, by whom he had seven children. She died, and in 1835 he married Diadama, widow of William Johnson, of Monmouth, and for a time lived with her in her home in that town. The union did not prove harmonious, separation soon followed and he returned to his old home in Leeds. Mr. Foster was for a time a member of the Society of Friends and conformed to their habits and dress. It is related that on one occasion he became so highly exasperated at his treatment by one of his neighbors, that his temper got the better of the peaceful tenets of the order, and divesting himself of his coat, throwing it on the ground exclaimed, "Lay there, old Quaker, till I've licked this fellow," which having executed satisfactorily, resumed his garb. His death was the result of an unfortunate mistake. He left his home on one of the last days of March for Augusta, to collect his pension. The route was over Bishop Hill and past the residence of Zadoc Bishop, one of Leeds' earliest settlers. Meeting Mr. Bishop by the wayside he must stop and have a talk. While so engaged Mr. Bishop casually remarked, "You have lived all your life in the woods and know everything that grows there, tell me what is that bush growing up out of the wall there, I've thought it might be Dogwood and would like to know." Mr. Foster replied, "I don't know what it is, bring me some. I can tell if it is Dogwood--I know Dogwood." A twig bearing red berries and dried leaves was brought. Looking it over carefully Mr. Foster says, "No. it isn't Dogwood. I don't know what it is, but I know Dogwood and it isn't that, I am not afraid to eat it," and taking leaves and berries into his mouth, chewed them vigorously and soon drove on. It was not long before he felt a soreness in his mouth and a sickness coming upon him, and by the time he reached the home of Enos Fairbanks in Winthrop, about four miles distant, he was violently sick. Mr. Fairbanks was an old acquaintance, born in the same neighborhood. They had always known each other and Mr. Foster was accustomed in his trips to Winthrop to call on his old friend. He now stopped from necessity, and his condition was found so serious that medical aid was at once summoned from the village three miles distant. Nothing could avail, and after a day or two of intense suffering, the old pioneer, the adventurous and skilful hunter and youthful soldier closed his eventful life, April 2, 1842. The funeral service was held in the Universalist Meeting-House in Winthrop village, conducted by Rev. Giles Bailey, the pastor. The services being closed, a grandson of the deceased tendered the minister the usual fee. A person who had assisted in the musical exercises standing near by, said to the minister after the grandson had retired, "Mr. Bailey, you've preached the old hunter into Heaven, with all his horses, his dogs, his guns and his traps, and you've only got ten doliars for it; Parson Thurston wouldn't have done it short of twenty-five." The burial was in the "Fairbanks Cemetery" in Winthrop. On this elevated spot, overlooking the home of his boyhood, the Lake now widely noted for its beauty and as a place of public resort, the hills and meadows where his youthful muscles were trained and hardened for his chosen calling, his remains were quietly laid at rest beside his kin-folks. Years came and sped by, another generation had lived and passed away, the place unmarked and forgotten, when, after a prolonged and diligent search, it was at last discovered, a plain slab of marble erected, marking the spot and recording the fact, that here rests the remains of "A Soldier of the Revolution" and of "The First Christian Child born in this Plantation." For the benefit of the descendants of Stephen Foster and others who may be interested in preserving and perpetuating a genealogical record, the following is subjoined: Capt. Timothy Foster, the pioneer of Winthrop, was b. in Attleborough, Mass., May 14, 1720, and his wife, Sibler Freeman, Oct. 29, 1723. They were m. in 1744, and to them were b. in that town ten children, and another in the year following their settlement in Winthrop in 1765. He was a member of the first board of selectmen of Winthrop and frequently re-elected to that and various other public offices in his town. He died April 3, 1785, and his widow Dec. 8, 1813. 11. Stephen, b. Feb. 28, 1766. Soon after the battle of Lexington was fought, April 19, 1775, four of the sons of Capt. Timothy Foster, to wit: Capt. (2) Billy, (3) Eliphalet, (6) Thomas and (8) John, repaired to the headquarters of the Provincial Army, at Cambridge, Mass., enlisted in the privateering service, and never returned to their home fireside. Another of his sons, (9) Oliver, we are unable to account for. Hannah, b. Nov. 17, 1786. Timothy, Jr., died Aug. 1, 1825. John Winthrop, b. Feb. 12, 1800. Stuart, Jr., b. June 7, 1800. Anna, b. Jan. 20, 1796. Adaline and Stephen (twins), Amanda, James, Columbus, Orra A., Phoebe, Melissa and Harriet. These were born in Leeds; yet most of the descendants of Stephen, Jr., reside in Lagrange. John, second child of Stephen, b. in Winthrop, in 1786; m. Priscilla Gilbert in 1801. They settled and lived in Leeds, where he d. Oct. 16, 1853; and his widow Feb. 6, 1861. Our data says they had nine children. Timothy, third child of Stephen, b. in Leeds Dec. 3, 1787; m. Nancy Morse in 1806. They lived on the homestead of his father. Mr. Foster, by his industry and close attention to farming accumulated property. When the Androscoggin Railroad was built, he subscribed heavily to the stock, induced by the promise that a railroad station should be built near his house and the agency given to one of his sons. It was built there; but, a little later removed to its present site at Leeds Center. Mr. Foster retained an antipathy against the company who fraudulently obtained his money, rendering him or his little equivalent therefor. He d. in Leeds July 27, 1867, and his widow Oct. 2,1871. They had issue eleven children, namely: Alonzo, Amelia,William Henry, Leonard, Amanda, Ward L., Charles Robert.Martha R., Lydia, Emeline and Everett. Amelia, second child of Timothy, no data; Rev. William Henry, third child of Timothy, b. in Leeds,March 12, 1812; m. in May, 1840, Harriet L. Curtis, and settled in Leeds. In 1844 he was assigned to the Fayette circuit in the Maine Methodist Conference, and for a period of 46 years, he continued a Methodist minister; since which time he has held a superannuated relationship with the conference. His present residence is Livermore Falls. Orrie A., in Leeds May 20, 1841; m. Alonzo Davis. They reside on the Foster homestead in Leeds; no issue; Timothy H.,in East Livermore: d. in New Portland when a small boy; Charles Henry, in East Livermore, Oct. 4, 1845; d. in Leeds,May 9, 1900, where he had held the office of Railroad Station Agent several years; single; Hattie A., in New Portland July 11, 1847; m. Lorenzo Leadbetter;lives in California; no issue; Alice I., in East Readfield in 1855; m. Lyman Kempton; residence Rangeley; no issue; N. Emma, in New Sharon Feb. 3. 1858; m. Albert Simpson; residence California; three children. Leonard, fourth child of Timothy, died. Amanda, fifth child, m., but her family is broken and she is dead. Capt. Ward L., the 6th child, settled in Massachusetts; no record of his family. He was 3 years in the Civil War and Captain of a Massachusetts company. 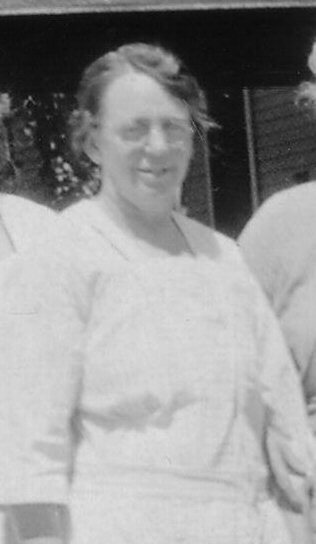 Martha R., seventh child of Timothy, m. a Mr. Russell and settled in Waterville, Me., where she died. Lydia, the next child; account wanting. Emeline, m. John Frank Jennings, of Leeds, is now living. They have a daughter, Gertrude. Charles Robert, another child of Timothy and Nancy Foster,b. in Leeds Feb. 14, 1825; m. Sarah Stevens. They had issue two children, Charles Freemont and Henry Ward. Their residence is Lowell, Mass. Mr. Foster was a farmer and shoemaker.He spent his early life on a farm. He was in the late Civil War and died at the Soldiers' Home, in Chelsea, Mass., April 1, 1901. Everett, the youngest child of Timothy, was born in Leeds Nov. 20, 1837. As a boy and young man he followed the pursuits of farmer and shoemaker. When opportunity offered, his gun and traps were in evidence, which he much enjoyed. Early in manhood he entered the railroad machine shops at West Farmington,where he learned the machinists' trade. After four years' service he went out on the road as engineer of a freight locomotive, which he run ten years, when, in 1879, he was given the passenger train out of Farmington, where he remained until his death, March 12, 1901. In 1858, he married Mary J. Morse. They had issue five children, one of whom only is remaining, the others dying in childhood. Frank L., their only child now living,b. Aug. 14, 1865, graduated from Wendell Institute, Farmington,in 1880. From school, commenced firing his father's engine, and in due time became an engineer. April 12, 1890, he married Sadie E. Pratt, of New Vineyard, Me. His residence and that of his mother is Farmington, Me. Sally, fourth child of Stephen, the pioneer, was b. in Leedsin 1790. In June, 1809, she m. Ebenezer Libby and settled in Leeds, where they remained through life and where their five children were born, viz. : John, Ebenezer, Tillotson, Stephen and Jane. Abigail, their fifth child, sometimes called Tabbie, was born in 1800. Jan. 1, 1818, she m. Lewis Jennings, who later died,and she m., second, Sullivan Lothrop, in February, 1831. She was the mother of nine children. Hannah, the next child of Stephen, b. in Leeds Jan. 8, 1804; m. Nov. 14, 1831, Daniel Irish, by whom she had several children. He died and she m. second, Charles Crummett and bore him children. She d. Sept. 27, 1888. Ann, the youngest child of Stephen, the pioneer and hunter,was b. in Leeds, Aug. 28, 1807. Dec. 22, 1822, she m. Robert Crummett, of Leeds, and settled at Leeds Center, where they kept an inn many years. They had five children. An unusual effort has been made to obtain a more complete sketch of this family, and especially dates; but little interest has been awakened, and we submit it with many thanks to those who have contributed a portion of what is contained therein. Ancestry.com. History of the Town of Leeds, Androscoggin County, Maine (database on-line). Provo, UT, USA: MyFamily.com, Inc., 2001. Original data: History of the Town of Leeds, Androscoggin County, Maine, From It's Settlement 10 June 1780. [S1735] History of the Town of Leeds, Androscoggin County, Maine, From It's Settlement June 10, 1780, online www.ancestry.com. Hereinafter cited as History of the Town of Leeds, Androscoggin County, Maine, From It's Settlement June 10, 1780. Grace Dudley1 b. c 1816? Children of Experience Wing and Micajah Dudley Jr.
Batchelor Wing was born in 1763.1 He married Mary Cahoon. Mary Cahoon was born in 1764.1 She married Batchelor Wing. By 1895 John Wesley had 275 full grown trees in his orchard, including 200 Dudley Winter apples. But at that time, his brothers were turning their attention to potatoes and John decided to move to Washington State, near Yakima. His orchard was cut down and has been put into potatoes ever since. Dudley Winter was the most widely planted new variety at the turn of the last century in the North. Probably the most well-known Maine apple variety outside the state, it spread as far as Wisconsin and Canada, where it is still grown commercially. The apple was particularly important 100 years ago because "keeping" apples were virtually unknown that far north. The keepers almost always require a fairly long season to ripen, and by late fall in Aroostook County, apples are frozen on the tree. The medium-to-large roundish fruit is overlaid with rosy red dots, stripes and wash, with firm but tender, aromatic mild subacid very juicy flesh. Quite good for fresh eating and cooking from late September well into winter. Seedling of Duchess or New Brunswicker. Dudley Farm, Castle Hill, ME (Aroostook County), about 1877. Also called Dudley, North Star and Dudley's Winter. Originated by John Wesley Dudley, owner of one of the finest orchards in Aroostook County and son of one of the area's first settlers. His father, Micajah Dudley, came to Ashland in Aroostook County from China, ME in 1838, and later moved to Castle Hill with his four sons. F, #5390, b. circa 1816? He lived in 1975 at Rural Route 5, Faribault, Rice Co., Minnesota.